Tax Custodian, Paula M. Linhares has announced that the Town is preparing to auction a tax possession property located at 235 Vernon Street. The auction is scheduled to take place on Thursday, February 7, 2013 at 4pm at the Cole-Yeaton Senior Center, 10 Wally Krueger Way, Bridgewater, MA. 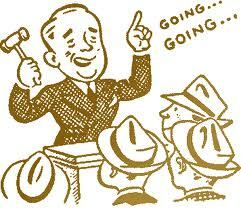 Bidders are required to pre-register at 3pm, one hour prior to the auction. Two Open Houses are scheduled (Saturday, January 26th from 1pm – 3pm and Saturday, February 2nd from 1pm – 3pm) to allow prospective bidders to view the property. The property (parcel id 85/25) is a 23,035 sq ft lot with a 1,248 sq ft raised ranch built in 1965 which was last assessed at $247,100.